The automaker previously announced that it would not run any commercials at the 2013 Super Bowl due to the high cost of advertising. Although General Motors won’t be running any ads during the 2013 Super Bowl, the automaker has devised a clever plan to showcase the all-new 2014 Chevrolet C7 Corvette during the big game. The Detroit Bureau reports that the Detroit automaker will place the highly anticipated C7 Corvette on the 50-yard line during the game’s halftime show and later present it to halftime performer Beyonce. The company’s historic involvement with the Super Bowl appeared to be in trouble in May when former GM global marketing czar Joel Ewanick announced that it would not advertise during Super Bowl XLVII due to the rising advertising costs. To Ewanick’s point, the going rate for a 30-second ad spot during the 2013 Super Bowl is $4 million. Ewanick’s decision occurred just days after the automaker decided to pull $10 million worth of advertising from Facebook. GM’s decision to pull its ads from Facebook took place one week prior to the social media giant’s IPO. Although just a theory, some experts contend that GM’s move played a sizeable role in Facebook’s poor performance after its initial stock offering in May. The 2014 Chevrolet Corvette C7 will be equipped with Chevrolet’s new Gen V small block V8, which touts an aluminum block and heads and a revamped combustion system. The Corvette C7’s new engine will likely produce 440 hp, a slight improvement over the 436 hp available in the C6. Though not confirmed, a twin-turbo V6 engine may be available as an option. The Gen V engine is part of an $890 million program designed to overhaul the GM lineup. Production of the all-new 2014 Corvette C7 is expected to commence in August or September 2013 at the Corvette Assembly Plant in Bowling Green, Kentucky. The official announcement date for the 2014 Corvette will be released on Jan. 13, 2013. 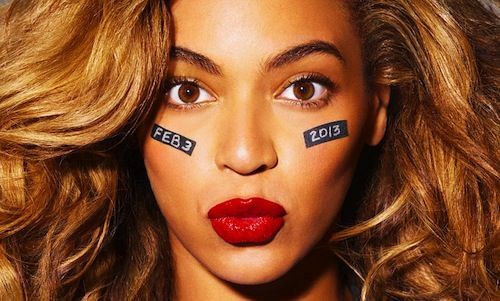 The 2013 Super Bowl marks somewhat of a departure from past years in terms of the halftime show. For the most part, the show’s producers have opted for older musicians since Janet Jackson’s infamous wardrobe malfunction at the 2004 game. Recent performers have included Paul McCartney, The Rolling Stones, Prince, Tom Petty & The Heartbreakers, Bruce Springsteen and last year’s musical guest Madonna. Super Bowl XLVII will take place at the Mercedes-Benz Superdome in New Orleans, Louisiana on Feb. 3, 2013. Could be mistaken, but I think her hubby owns a Veyron.